There are few better feelings than gliding over a breathtaking landscape in the seat of your car or motorbike. If you’re looking for a journey like no other, why not jump into the driver’s seat and tackle one of the most scenic roads in the world? Chapman’s Peak is a mountain situated just 15km south of Cape Town. 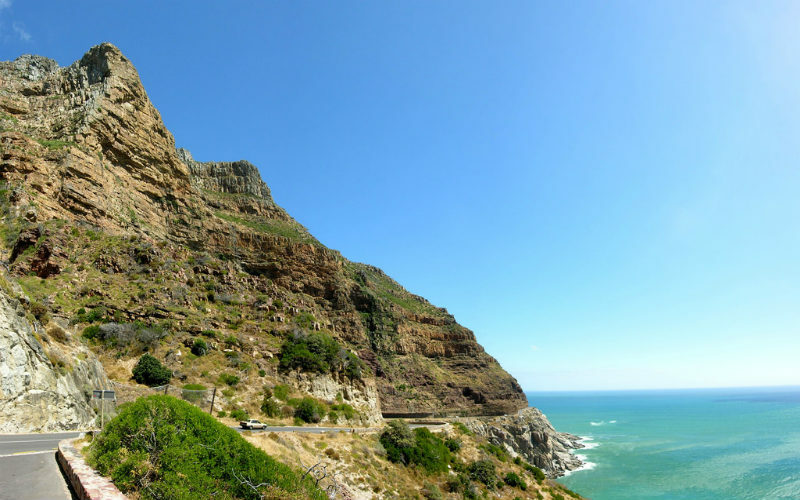 You can find Chapman’s Peak Drive carved into the mountain’s western face, snaking along the panoramic coastline and, at times, ducking under huge shelves of rock. With many sections venturing dangerously close to unguarded cliff edges, this drive is not for the faint of heart. However, those who brave Chapman’s Peak Drive will be rewarded with one of the most unforgettable experiences the motoring world has to offer. Chapman’s Peak Drive, South Africa. Image Credit: Chris Eason. 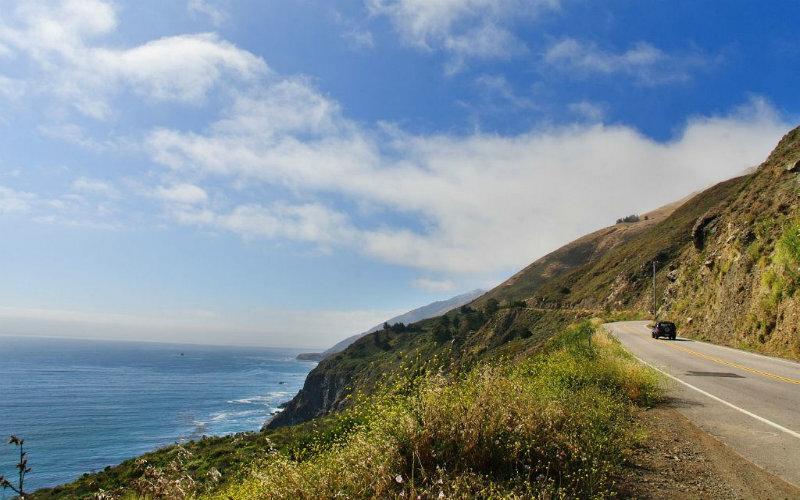 Arguably the most famous, scenic, and loved driving route on the west coast of the United States, the Pacific Coast Highway connects San Francisco with Los Angeles and San Diego. Part of the much larger California State Route 1, the famous stretch known as the Pacific Coast Highway winds about 200km past rugged cliffs and coastline, making brief contact with old mission towns and iconic beach towns such as Malibu. If possible, visitors should travel north to south to secure front-row seats to the highway’s spectacular views, and easier access to its numerous lookouts. Pacific Coast Highway, United States of America. Image Credit: Rian Castillo. The Norwegian coastline is a jigsaw made up of thousands of islands and islets. 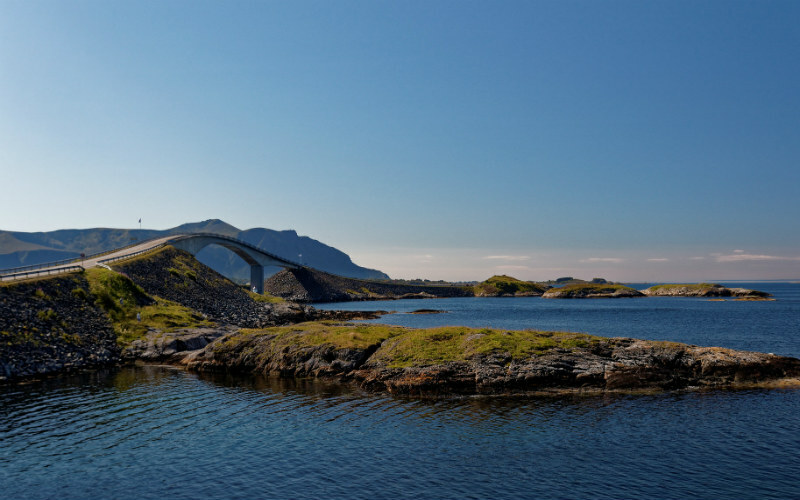 The Atlantic Road stretches over eight kilometres in this region, sweeping over land and sea with a series of roads and roller-coaster-like bridges. These stunning bridges have set the scene for several car commercials, with storm-fuelled waves occasionally crashing over the bitumen and adding a heightened sense of drama to the landscape. Combining graceful engineering with fantastic views and the title of “Norwegian Construction of the Century”, the Atlantic Road is not to be missed. Atlantic Ocean Road, Norway. Image Credit: hl_1001. Nestled in Brazil’s southeastern corner is a mountain range called Serra do Rio do Rastro. Clinging to its surface is a highway that zigzags all the way from highlands of Santa Catarina to the coast. 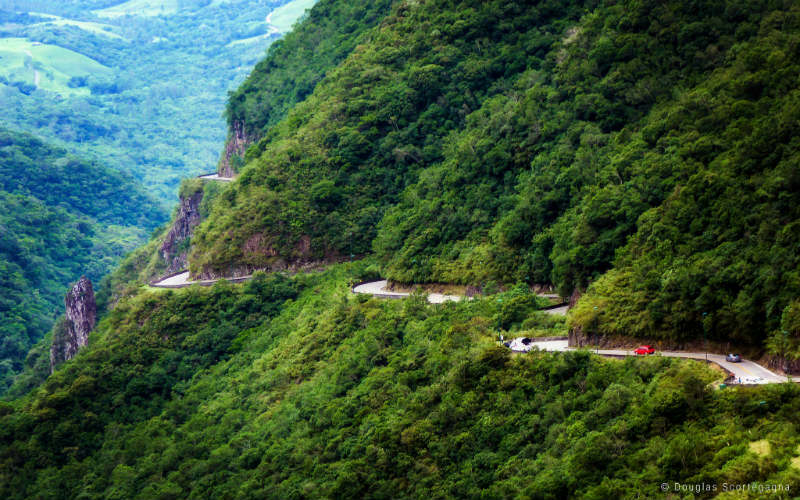 Inauspiciously known as the SC-438, this mountain road takes its passengers past canyons, waterfalls and lush valleys, reaching an elevation of roughly 1500 metres. Cloud cover can obscure the view from time to time, but in clear conditions, this cascade of tightly packed hairpin turns is a sight to behold. Serra do Rio do Rastro Road, Brazil. Image Credit: Douglas Scortegagna. 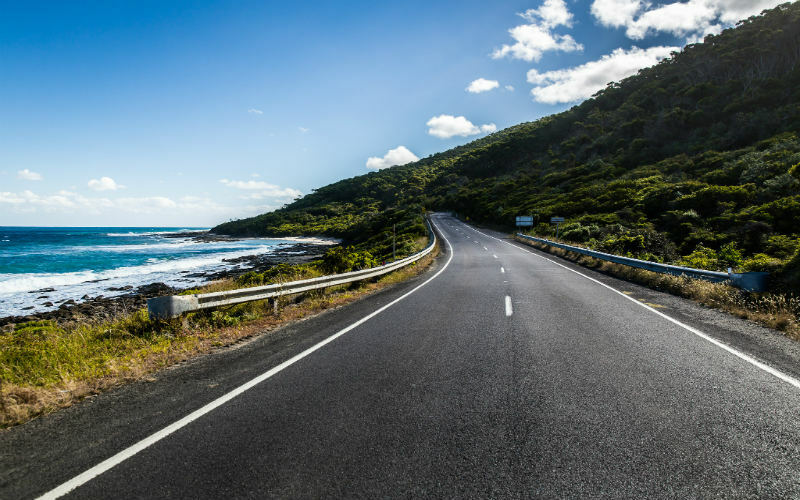 The Great Ocean Road is widely considered the most scenic driving route in Australia. Just a few hours from the bustling metropolis of Melbourne, the road stretches 243 kilometres between the towns of Torquay and Allansfor. With highlights including sheer cliffs, lush national parks, and more coastal views than you’ll know what to do with, this journey is a must-do for tourists and locals alike. Originally built to commemorate those killed during World War I, the Great Ocean Road is also the largest war memorial in the world. Great Ocean Road, Australia. Image Credit: dawolf-. It might come as a surprise that construction of the legendary Seven Mile Bridge started all the way back in 1909. Today, it’s almost taken for granted as the standout feature of the Florida Keys’ landscape. 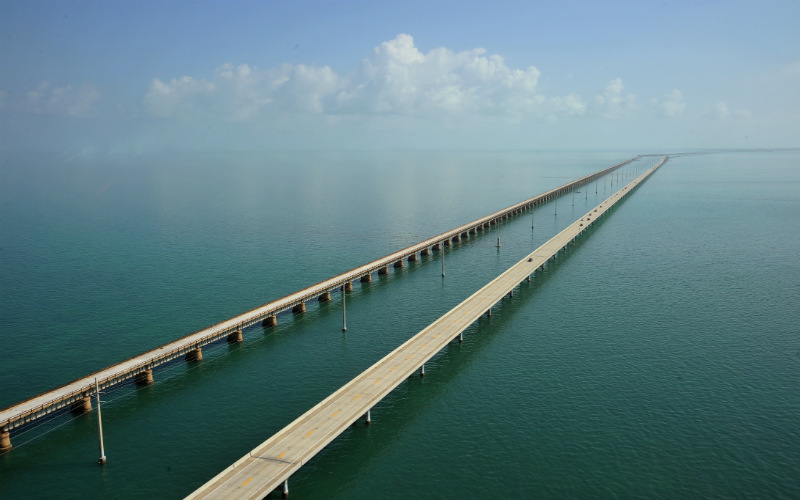 Spanning all the way from Knights Key to Little Duck Key, Seven Mile Bridge is perhaps the only way to enjoy 360-degree ocean views from the comfort of your car. Although the original bridge eventually fell into disuse thanks to increased capacity needs, the second bridge, built in 1982, offers the same surreal opportunity –– to soar over the sky blue waters of southern Florida. Seven Mile Bridge, United States of America. Image Credit: Sathish S.
Highway 93, more commonly known as the Icefields Parkway, is a 230-kilometre road just west of Calgary, near the British Columbia border. 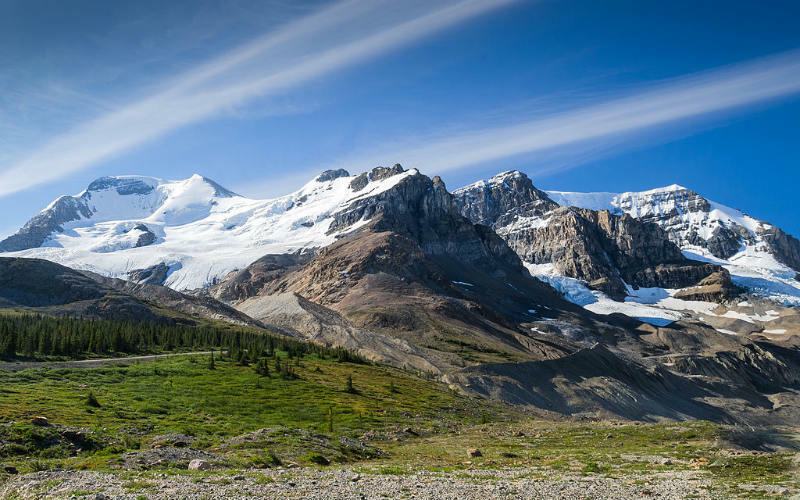 The Icefields Parkway grants access to some of Canada’s best scenery, snaking through deep valleys and cruising past picture-perfect glaciers. As if this wasn’t enough, the road also passes several outstanding hiking routes, allowing time-rich travellers to explore the Canadian Rockies in even more detail. All of these factors make the Icefields Parkway extremely popular over the holiday period, with moose and bear sightings occasionally bringing traffic to a standstill. Icefields Parkway, Canada. Image Credit: Florian Fuchs. There’s no doubting what people who embark on the Southern Scenic Route are looking for. 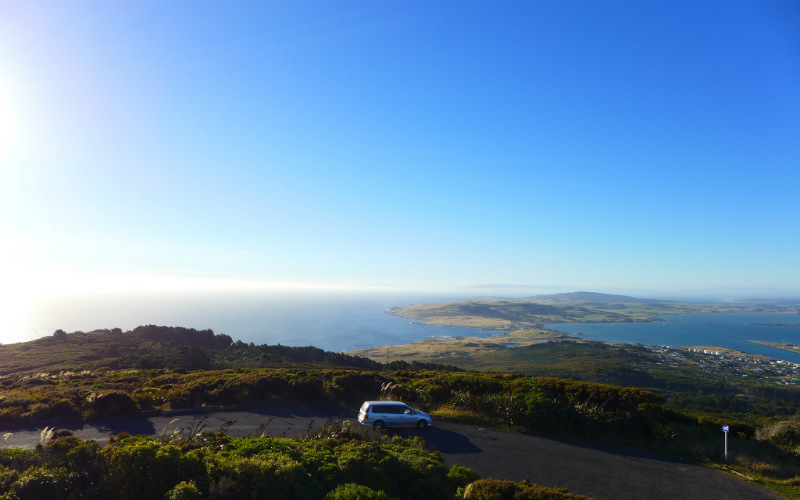 More than just a pleasant drive, the Southern Scenic Route is often touted as the most picturesque road in New Zealand –– a bold claim to make in a country renowned for its beauty. The Southern Scenic Route skirts around the southern coast of the South Island in a U-shaped trail between Queenstown and Dunedin. This 600-kilometre-long road samples some of New Zealand’s best features, including snow-capped mountains, tranquil lakes, lush rainforests, ethereal waterfalls, verdant hills and unspoilt beaches. Southern Scenic Route, New Zealand. Image Credit: Phyllis. La Route des Grandes Alpes is perhaps less suited to a scenic Sunday drive than to an epic road trip. This road runs from Lake Geneva all the way down to the seaside town of Menton, near Nice. This incredible route is only open between June and October, once the snow has melted, and will take you along 17 of the highest mountain passes in Europe. 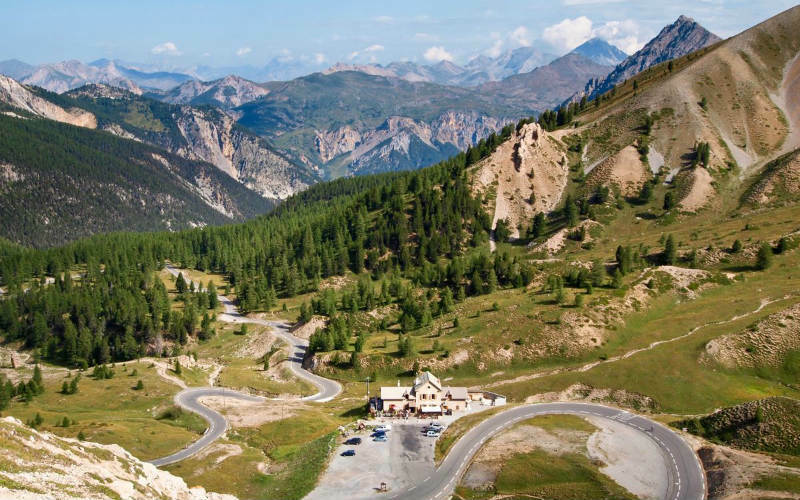 At 684 kilometres long, La Route des Grandes Alpes is a spectacular journey which allows you to experience both the charms of the Mediterranean and the austere beauty of the French Alps in one go. La Route des Grande Alpes, France. Image Credit: La route des grandes Alpes. Going-to-the-Sun Road was the first project undertaken by the National Park Service to cater to motoring tourists. This is perhaps why this modest, 80 kilometre route is recognised as one of the most scenic drives in the United States. 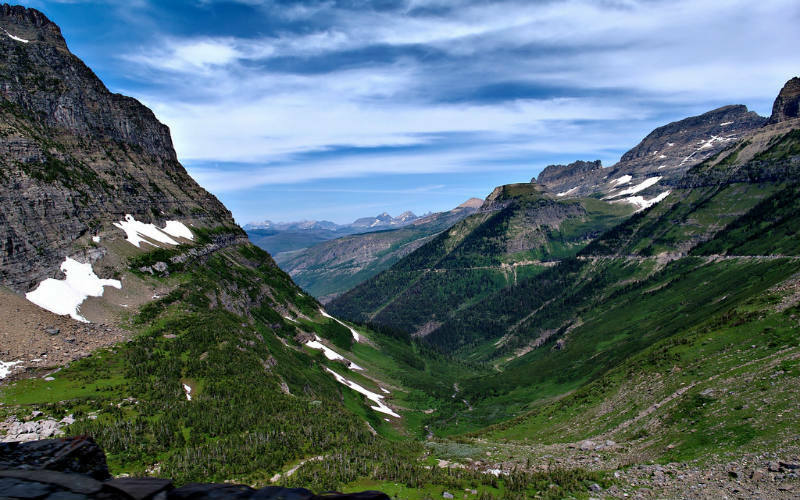 The road winds through Glacier National Park in Montana, sandwiched between towering cliff faces and hundred-metre drops. Although nerve-wracking at times, this route enjoys a landscape which fluctuates between mountain peaks, glacial lakes, dense cedar forests, and desolate tundras. Summer is by far the best time to visit, although the road is open from mid-June to mid-October, with melting snow occasionally creating temporary waterfalls which spill over the road. Be sure to bring a camera and stop by some of the lookouts along the way. Going-to-the-Sun Road, United States of America. Image Credit: cclark395. Take your love of an open road to the next level with Webjet –– book cheap flights, hire a car and gear up for the drive of your life. Feature Image Credit: Tan Cheng Joo.